Do You Know the 2 New Wild Card Entries to Bigg Boss House? Bigg Boss season 12 has been showing some interesting twists and turns recently. Another new twist on the show came across as a shock when after Saurabh Patel's expulsion, the news for wild card entry got clear. 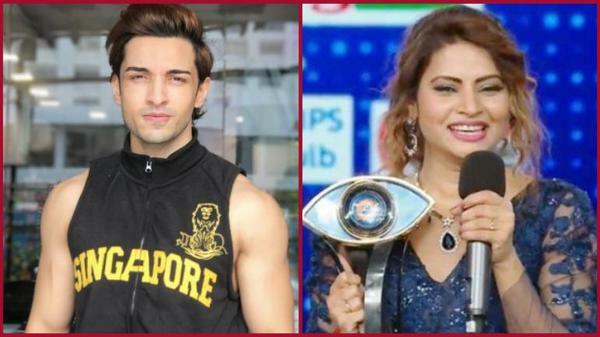 TV hottie Rohit Suchanti and Bigg Boss Marathi winner Megha Dhade are the new wild card entries to enter the house. Marathi actress Megha Dhade is the winner of the first BB Marathi and was identified to be a drama queen. She will be seen taking a knowledge transfer session of the housemates. Megha has also featured in Hindi TV shows like Kasautii Zindagi Kay, Kis Dhesh Mai Hai Mera Dil and Kasturi. Meanwhile, Rohit joins hands with Romil and Deepak and will be seen speaking about sending Sreesanth home. Rohit Suchanti has been a part of shows like Warrior High, Sasural Simar Ka, Class of 2017 but rose to fame with Saath Nibhaana Saathiya, where he played Gopi Bahu's long lost son. Post Saathiya, Rohit was seen mooning Tejasswi Prakash in Sony TV's Rishta Likhenge Hum Naya. The show was a refurbished form of Pehredaar Piya Ki, which was pulled off the air in August as the show drew a lot of criticism from the audience for its reverting content. It seems like the game will take a swing twist after the new wild card entries, what do you think? Is Rohit Suchanti the Reason Behind Srishty-Manish Breakup? Is Megha a Housemate or a Guest? Kat and Salman Together Again! Sangram & Kamya Create New Record! This Season, It Is Salman Khan Vs. Amitabh Bachchan! Hell Breaks Loose In BB House!